ANNOUNCEMENT: YCW Suspension - Page 2 - Miata Turbo Forum - Boost cars, acquire cats. That was a long post indeed, thanks for taking the time to explain. However, certain arguments do not make sense, and you know it. I am referring to the "adjustable lower mount" that "a longer damper body threaded into a lower mount allows for increased oil capacity and stroke without affecting overall length, yet also allows for increased height adjustability". 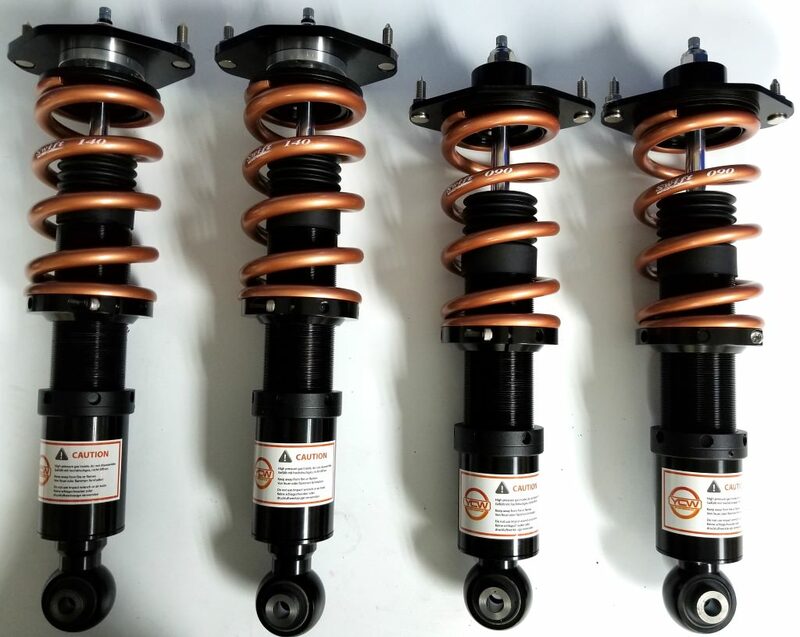 It is quite apparent that in order to have adjustability, you design your shock length (plus the separate lower mount) to be as short as dictated by the lowest ride height, and then use the lower mount to add height as required by un-threading it. That's okay to offer some versatility, but it's not optimal, as I am sure you would agree. Ideally, one would want to have the body as long as possible, to accommodate enough bump/droop travel, without limiting it in the sake of "separate height adjustability". So, please give us some numbers about the available bump/droop and overall stroke, and how this is not limited by shock body length. P.S. This is not intended as teasing you; it is genuine curiosity and I am only posting it due to your willingness to explain and defend your design to a great detail. You do have a valid point, and, depending on the application, you are correct; the damper body and lower mount must be designed to the correct/optimal length. This is why the customer can choose their own damper length and rod stroke depending on their requirements. Our products are not fixed-in-stone, hence why we call them "Bespoke". They are not off-the-shelf products. If a customer does not require to change the overall length of their damper, that is fine and we can accommodate that. From past experience though, the majority of customers prefer being able to adjust the lower mount to increase/decrease damper length. Whether this applies or not to the MX-5 community, we shall see once we start our testing. Regarding my statement about the adjustable lower mount, this post is actually a general post covering all of our media promotions (with little bits edited, such as Lars joining the team. That obviously doesn't apply on a Honda forum). On a lot of suspension designs (in particular, MacPherson, which covers the majority of our market), the damper actually goes through the lower mount and through the hub/knuckle; it does not stop at the lower mount. This allows us to use a longer damper body, thus increasing oil capacity and available stroke. I understand where the misconception may have arisen (the MX-5 being double wishbone), and I apologise for that. Last edited by MFMike; 09-01-2018 at 06:24 AM. That makes sense in McPherson applications, as long as you do not have a halfshaft passing right below it. I agree with you on "the majority of customers prefer being able to adjust the lower mount"; cheap crappy coilovers do that as well and can give you mad lowz, but I am sure you are better than that. The potential for bespoke setups is really appealing though. Let's wait and see what your conclusions on the MX5 platform will be. It all comes down to testing, and understanding the market. 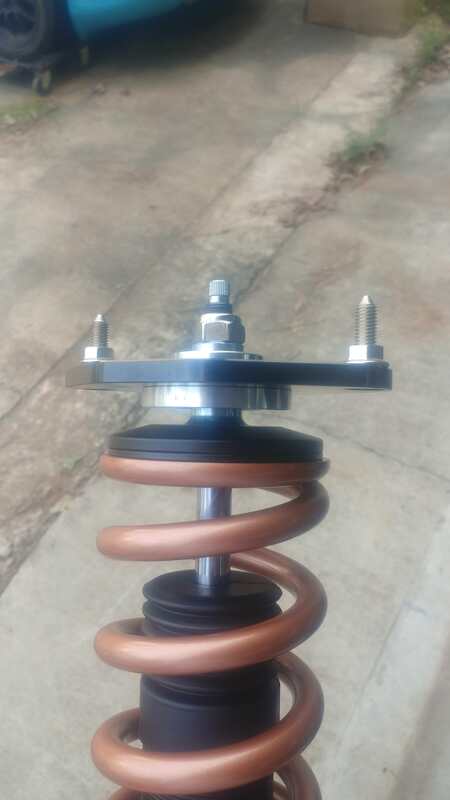 If a dedicated race car owner requires their overall damper length to be fixed and does not require the lower mount to be "adjustable", then that is fine; we can supply a lower mount with exactly the 25mm minimum thread required for safety reasons, no more, no less. Aside from the fact that the lower mount is screwed on to the bottom (albeit non-adjustable), there is no difference between this and a 1pc fixed length damper. 25mm of lightweight aluminium at the very bottom of the damper (where the gas is) is not going to significantly decrease heat dissipation, as most of the heat transfer is in the oil. If, however, the lower mount was a lot longer (i.e as in an adjustable lower mount), then technically yes, it can affect heat dissipation. Thanks Mike for letting me join on and give a hand with R&D and testing of the new YCW Suspensions. I want to be clear and up front with everyone. I have zero financial stake in YCW Suspensions. I won't be selling them, I don't get kickbacks for pushing people to them. I have openly been firmly in the Xida camp for the past several years. As far as I have seen or driven there are no other suspensions that are on the same level as Xida's at the price point that they hit. Saying that I am completely open to trying out other suspensions and enjoy messing around with other options. It was a big reason why I picked up a set of Feal-442 from ThePass last fall to run in time attacks. Experiencing other higher end suspension is fun, and I like being able to compare them. 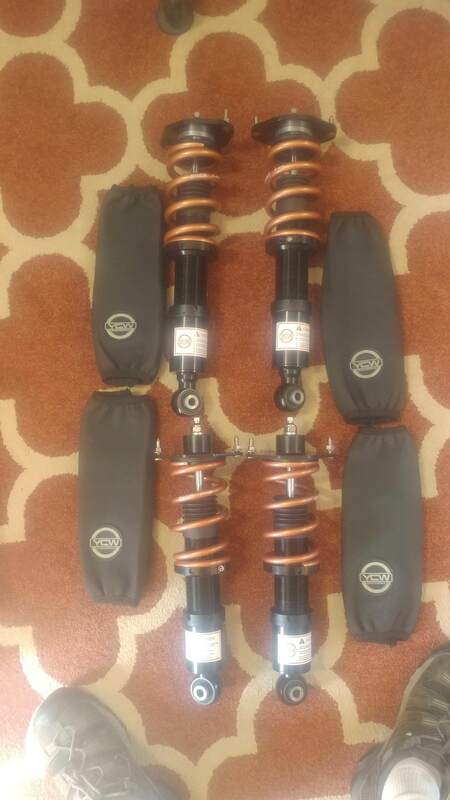 I reached out to Mike to ask aout the suspension thinking they were the same generic Taiwan/Korean budget coilover that dozens of others resale. In my mind he was just the another [email protected] I had been planning on reaching out to MeisterR about a coilover setup sometime this fall. Mostly because I wanted to try them out and compare them to my Tokico Illuminas/FM Spring, Feal-442, Xida ACE's. I don't have high hopes for the MeisterR, as I have owned and driven a good number of other budget Taiwan coilovers, but was willing to try. Mike quickly got back to me with a ton more info on how they were not just another generic suspension company. It was more information then I honestly expected or could easily digest. It impressed me and I wanted to possibly get a coilover setup sometime in the future to try out and compare to what else is out there. Things went from there and now I will be helping to do whatever testing I can to get something else out there on the market. For testing I will primarily be using 2 cars for driving. The first is a 93LE with 200k miles on it. 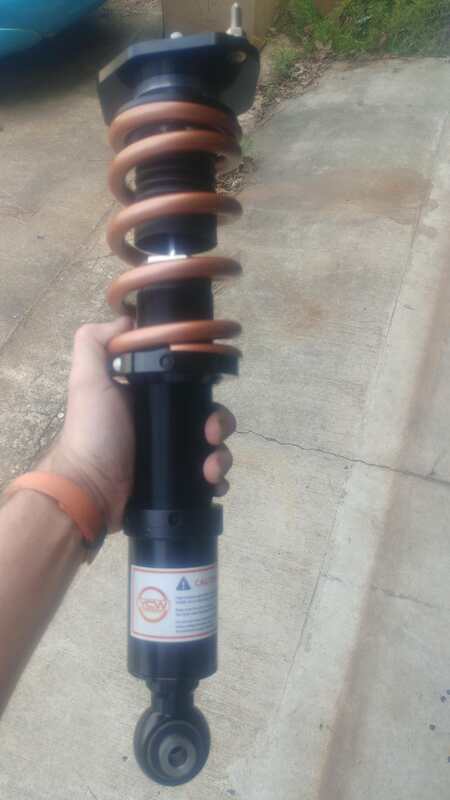 It bone stock other then the coilovers. It has had Tokico Illuminas/FM Spring, but currently is riding around on my Xida ACE's. It is a typical DD beater miata, which lends itself well to being a car to only test one sort of change, IE the coilovers. The second car is my 94 track miata. The TLDR:94 chasis, MS3X, NB front subframe, VVT motor, Feal-442, 6 speed, 3.63 lsd, 15x9 6UL, TSE 11.75" BBK and just about everything else people normally do for their track miata''s. The 2 cars are just about polar opposites for what they were built for and how they ride around. The 94 has been driven with the following suspensions over the last dozen years: stock NA, stock NB, koni/GC(complete ****), 2008-2010 $1500 Tein Monoflex, various budget Taiwan coilovers, Xida Race 700/400, Xida ACE, and now Feal-442. Overall I have a good idea on how both cars feel and handle on the street, at autox, and on the track. I also have several NB1's and NB2's that I will be doing test fitting and measurements on. I will be checking closely for FUCA clearance on all years. As this is something that is a "newer" known issue that I will be looking out for. Several other local people have also been reached out to do doing some back to back testing between their current setups and what YCW comes up with. Some local TT cars may also try them out to see how they do at VIR/CMP/RA/AMP compared to what they normally run. Ultimately I want to test the new YCW setups on as many different miata's as I can to get the best feedback possible from as many people as I can. This way the consumer can have as much information as possible to make a choice in what suspension setup to purchase. First picture of a test set. 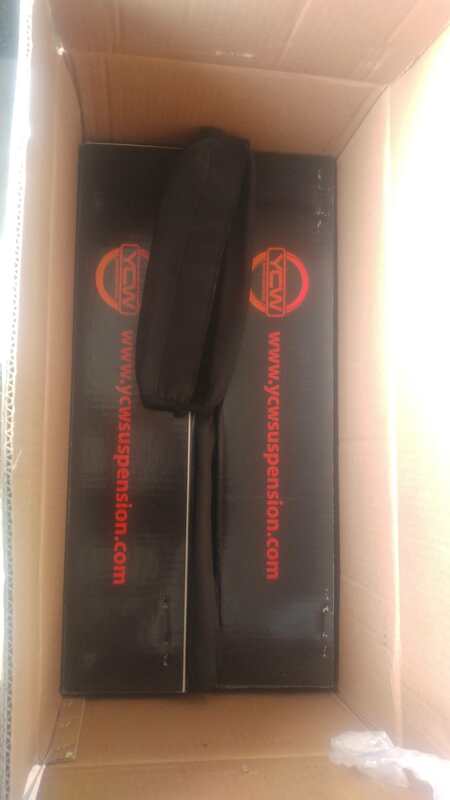 This set is to primarily test fitment on the various NA/NB's. Checking for FUCA clearance is on the list. I will also be checking for pinch weld ride height ranges. Springs are 14k and 9k to start. I might have missed it in the thread here, sorry if I did. What's the spring length, mainly on the rear? Undecided at this time. Not sure what length I am being sent until they get here. I got a box in the mail today. Unfortunately I am heading out of town so I won't be touching what is inside until next week. RE: OMG read this fast! - I can't view the Announcement!